In 1814-1815, after the French revolutionary and Napoleonic Wars, the leaders of the most important countries in Europe gathered together to redraw the frontiers of their continent. The Congress of Vienna explores the attempt by Britain, Russia, Austria and Prussia to agree Europe's new frontiers after almost twenty years of continuous fighting against France and analyses how successful the Congress was. 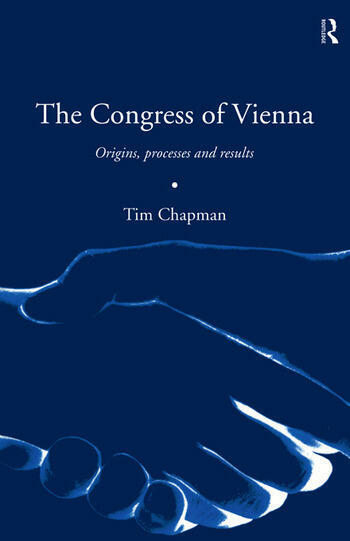 The Congress of Vienna offers a readable introduction to this difficult topic, providing a background to the negotiations, a summary of the agreements reached and assessment of the longer term consequences. 'I am delighted with this book and I hope it helps pupils understand modern Europe better.' - Tim Chapman, author, Wisbech Grammar School, Peterborough Evening Telegraph.